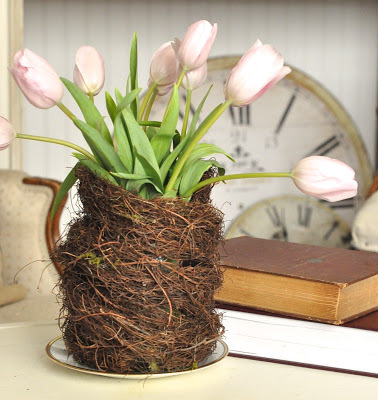 The lovely Jennifer Rizzo used a jar as the base for this gorgeous birds nest jar vase. Head on over to her blog to get the full instructions on how to make your own. Then let your flowers live in a nest on your counter.